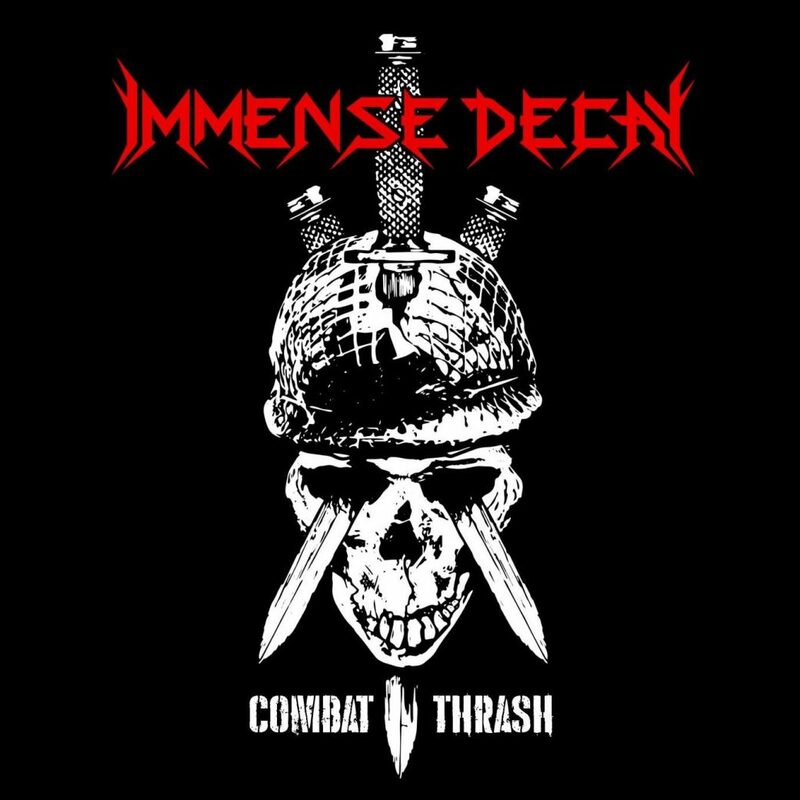 Immense Decay, founded in 2005 as Sudden Death and renamed in 2008, is a Polish rooted thrash trio and is presenting the world with their third full length album Combat Thrash. After a couple of demo’s, the first full length album KillZone was released in 2009 and From Ashes till Remains in 2011 and after that it went dark. Let’s hail the age-old adagio “No news is good news”, because this year they presented us with Combat Thrash and it’s an album that will leave a mark. Rooted in Poland and rooted in thrash, you can easily hear what the main influences on this album are or better even ‘whom’ and ‘when’. Leaving the apparently mandatory introduction track aside this is old-school thrash. Back to the beginning years of thrash where punk was still a major influence in the genre and the beginning years of Slayer – if you were wondering why Immense Decay sounded so awfully recognizable, the name of the band is taken from the lyrics of Slayers Angel of Death. Most of the tracks are barebone thrash, some parts tend to venture a bit more to the technical side, but none to extravagant. This is not a musical thrash adventure keeping you on the tips of your toes, but it doesn’t need to be. It’s honest, rough and straight in the pecker. A nice addition to anyone liking (or longing back to) the early roots of thrash. Leaving out the introduction track, the album starts off with Totalitarisator which is a fast paced thrash song as you would expect from the get-go, with Paint It Black you can actually hear Slayer’ roots throughout – which I do not mean in a bad way, certainly not; but it is recognizable to say at least. The intro of Unholy Hymn of Decay is a bit too heavy on the augmented fifth somehow it feels a bit farfetched, but that’s a pure personal opinion; listening to the rest of the album: Immense Decay could have done a better job at this introduction, that’s all I’m saying. Altar’s Fire… almost punk with a likewise punk ending.. just stopped mid song – which is actually good and bad at the same time, would’ve liked more of that old punkish thrash and on and on it goes. Giving kuddo’s where kuddo’s are due: Immense Decay is a regular machine gun as one might expect from a thrash metal band and skipping through the album, we get some minor highs and some lows, but overall, it’s a good production tending to be like said earlier: old school. For those waiting (or hoping) for the fast-picking-tremolo-terror-esque solo’s like Slayer used to do, those are not on the album. On a minor side note the vocals on this album are levelled into the music so much it’s hard to actually hear the lyrics but that doesn’t matter much. All in all: a good album.